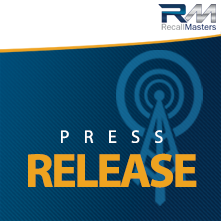 Laguna Hills, CA– August 23, 2016 – Recall Masters, Inc., the leading provider of automotive recall news, data, training, and communications, today announced an integration with Auto Rental Systems (ARS) cloud-based loaner car management system, a 100 percent web-based system that allows automotive dealers to manage their loaner/rental car fleets. The ARS Recall module performs a nightly scan of all fleet cars in the system and alerts dealers to any new and outstanding recalls. The new add-in module eliminates the need for dealers to manually check on recalls for their inventory of cars. When a new recall is found the recall data is downloaded to the system and linked to the vehicle by VIN. The dealership is then alerted via a summary email report and the car is flagged in the system. When the required recall work is completed, the repairs can be logged and the vehicle can be placed back in service. Just as the system maintains the rental history of all vehicles, it also maintains the history of all recall and warranty work performed by the dealer. At every touch point from vehicle sales, to loaner cars and inventory management, automotive repair scheduling and service lane visits, to auto rental and corporate fleets, Recall Masters now places actionable information at the fingertips of automotive sales and service centers, as well as consumers, nationwide. “We are continually evolving our systems and database to provide the most relevant information possible to consumers and their automotive service providers. One big key to keeping customer satisfaction high while servicing a vehicle is the overall convenience factor. To address this, most manufacturers offer service loaner vehicles for customers to drive while they perform the required repairs. As these recall customers can arrive already upset about the state of their vehicle, and can be rather emotional, it is vital to ensure a great customer experience. Our integration with the leading loaner car management system is just one more step in the right direction to ensure consumer safety and to mitigate risk of automotive-related injuries,” said Christopher Miller, CEO Recall Masters, Inc.